Examples of various nucleophiles participating in nucleophilic substitution SN2. 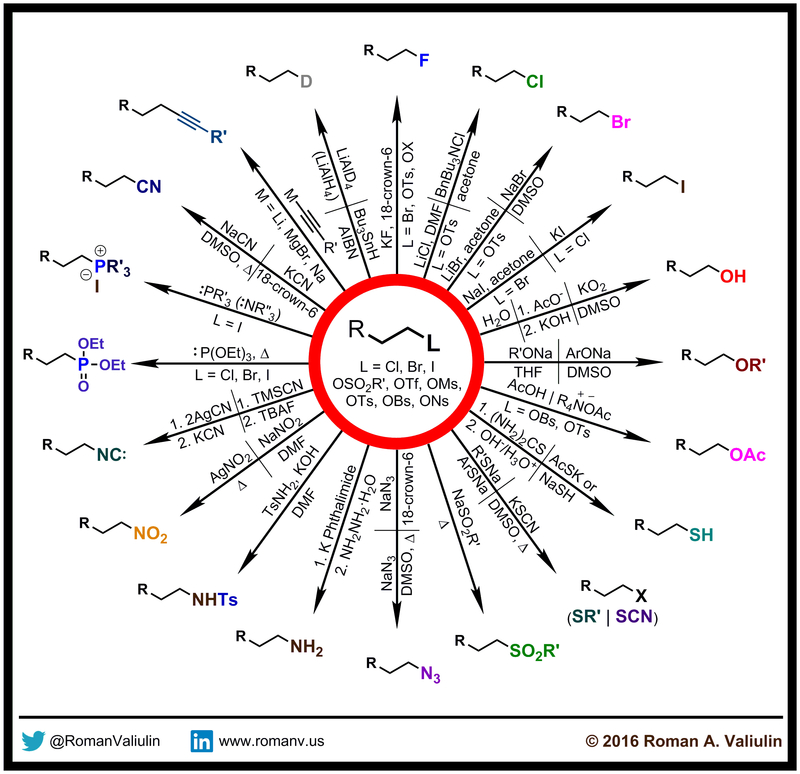 See also Nucleophilic Substitution Organic Chemistry Portal, . excellent sir. A wonderful collection of Data. Any passionate organic chemist would love to have.